We’ve said it before and we will say it again: educators are the engine behind the movement to transform learning. We consider ourselves lucky to collaborate with so many inspiring teachers and administrators each day, and we are constantly amazed by the creativity and ambition they display in bringing the LEAP Learning Framework to life. 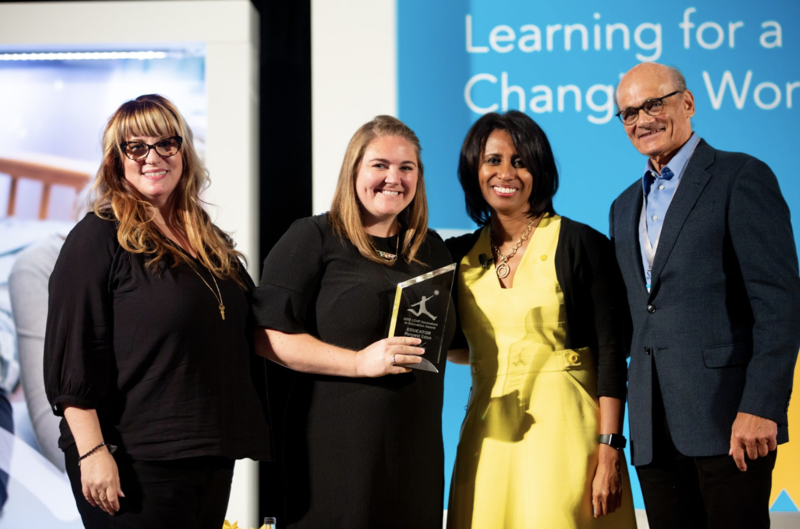 This is why we are thrilled each year at the LEAP InnovatED Summit to recognize educators who are pioneering personalized learning to deliver rigorous, engaging educational experiences. This year’s winners give us real-life inspiration for what is possible when we place students at the center of the classroom. Under Lisa’s leadership, Richard Henry Lee Elementary went from a level 2 to a level 1+ (the highest CPS rating). The R. H. Lee team, which serves about 86 percent low-income students on Chicago’s South Side, has personalized learning across the entire school, with learners now co-creating and following their own individualized learning pathways. Maggie, who teaches fourth and fifth grade, led her school’s participation in the LEAP Pilot Network. 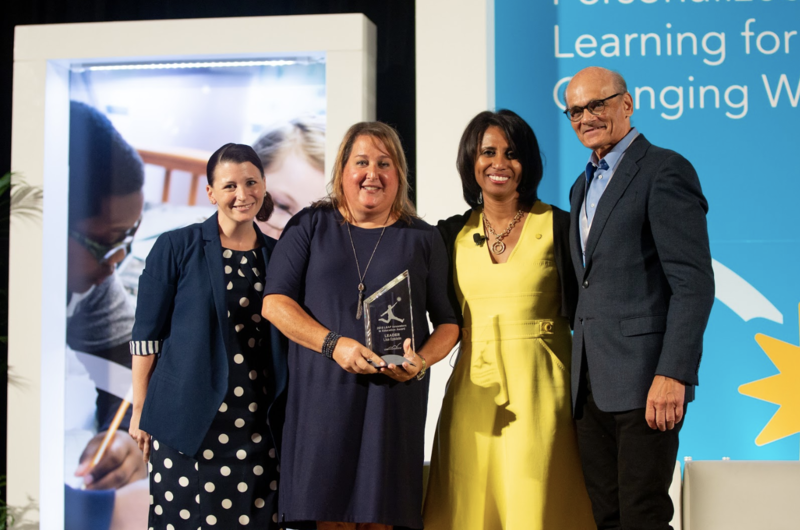 During the program, her school transformed the way it thought about grade levels, switching to a learning environment that emphasizes demonstrated mastery rather than age-assigned learning. With an approach that integrates student-teacher conferencing and seminars that learners choose based on their interests, the children at St. Genevieve have embraced co-ownership of their learning. 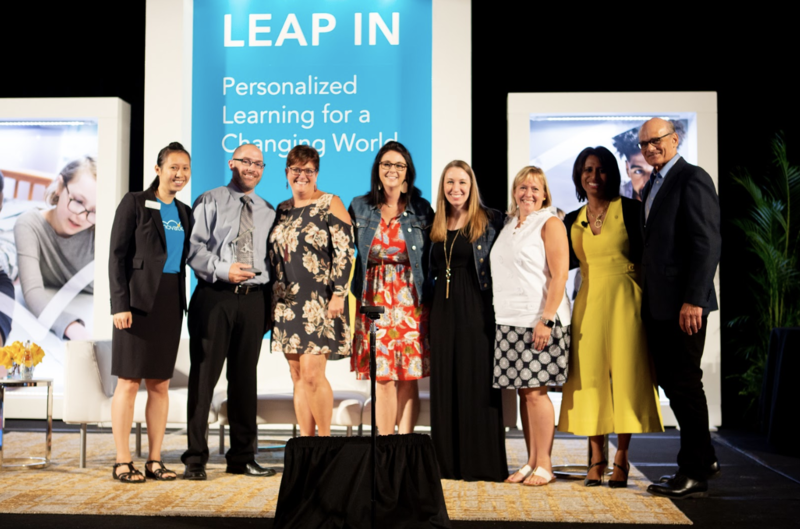 In the LEAP Pilot Network, the teachers and administrators of Fremont School District 79 pushed the boundaries of learning innovation. With the LEAP Learning Framework as their guide, they built personalized pathways for learners and re-imagined their physical spaces to create more fluid, collaborative learning environments. All these passionate educators balance awareness of present challenges with distinct, ambitious visions for what the future could be. We are proud to recognize the breakthroughs they’ve achieved. As our movement to transform learning continues to grow, we can’t wait to watch the list of winners grow with it.